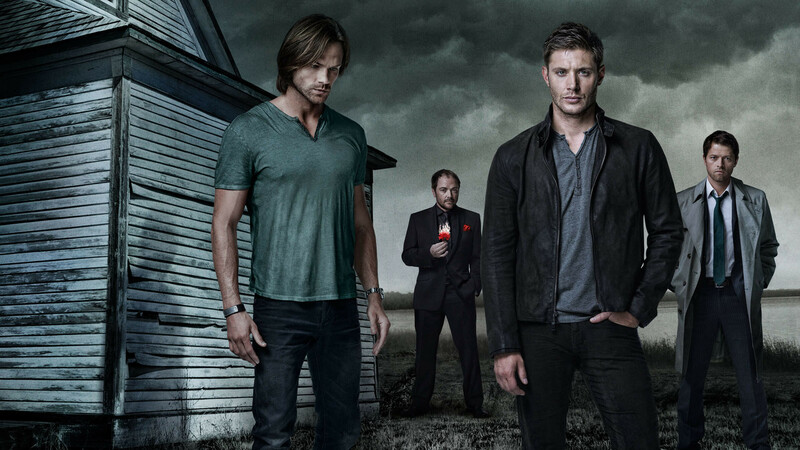 This past week the 12th season of Supernatural premiered on The CW. That’s right, 12th season. It is incredible to believe that this show has been on for over a decade without a break, which makes it the longest-running American genre show of all time. Supernatural still has some ways and seasons to go before it can match Doctor Who’s record run, but 12 seasons is a rarity these days in TV, especially when you consider that Supernatural airs more than 20 episodes per season. So why has it been so successful? An easy answer is that it airs on The CW, a network that is way more lenient with its TV shows in terms of ratings. Supernatural’s seasonal ratings averages about a one point one share. In normal networks that would put the show in danger, but these days, the ratings are respectable and in The CW Supernatural is one of its highest rated shows. 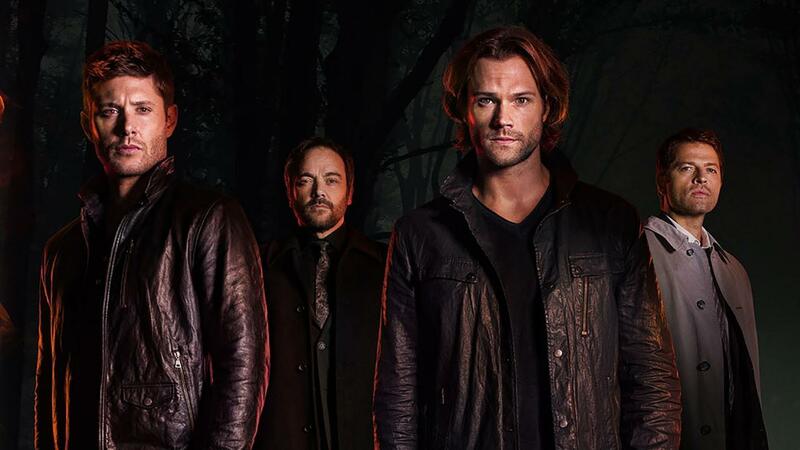 Even though it isn’t a ratings bonanza or the number one topic at water coolers and forum boards, Supernatural has built up a solid core of support from its fans. 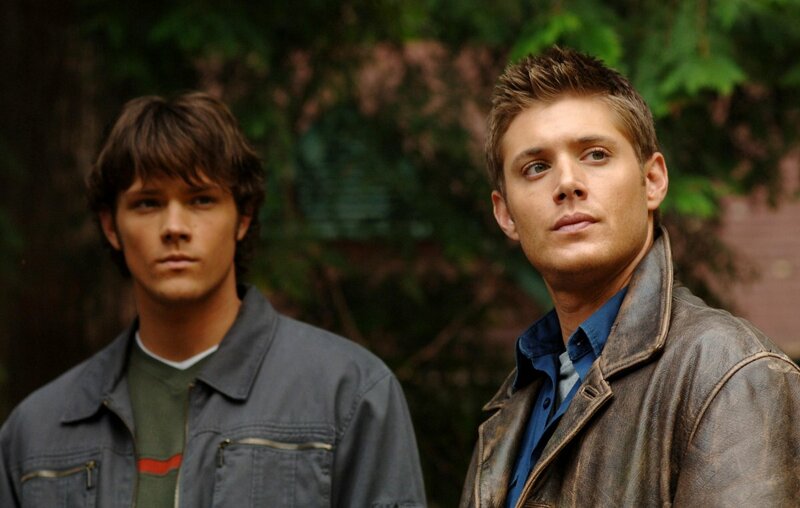 When Supernatural first premiered back in September 13, 2005 on The WB network, George W. Bush was the president and the country was still reeling from the impact of Hurricane Katrina and the Iraq War. Not much note was given to the show when it came out, but word quickly spread over how surprisingly creepy and scary it was. Focusing on two twentysomething brothers, Sam and Dean Winchester (Jared Padalecki and Jensen Ackles), Supernatural followed their adventures as they traveled flyover country in the U.S. and fought monsters, demons, ghosts and other supernatural entities. The representations of these creatures were often low-tech, but effective. More importantly, the episodes took time to develop the brothers and their relationship with each other. We witnessed the pain and loneliness they experienced in their missions as Hunters as they were forced to live on the outskirts of society. At the same time, we couldn’t help but chuckle at the ease of how they impersonated government agents with pseudonyms that gave nods to genre actors and rock artists. The arc in the early seasons dealt with them finding the demon that killed their mother during their childhood. That later led to an epic storyline where Lucifer (Mark Pelligrino) was unleashed on Earth and the Winchesters had to prevent the Apocalypse. Along the way, they picked up some memorable allies who became beloved supporting characters. The best of these was Castiel (Mischa Collins), a stoic angel in a rumpled trench coat who, when not being an episode’s deus ex machine, kept us amused with his reactions to modern day civilization. Another noteworthy character was Bobby Singer (Jim Beaver), a middle-aged mentor/father figure to the Winchesters whose working-class demeanor often disguised his enormous heart and fortitude. After the epic Apocalypse storyline ended when the fifth season concluded, the series’ creator Eric Kripke departed the show and the fifth season ended in a way that provided a sense of closure for the Winchesters. However, the show by now had developed a strong following and good ratings and The CW (formerly The WB) continued the saga of the Winchesters. Regrettably, the quality of the show suffered in some of the following seasons as storylines became repetitious and lackluster villains showed up (the less said about Rowena the witch the better). Drinking games could be made based on how many times Sam and Dean Winchester quarreled with each other because one of them made some sacrifice without telling the other. But the mythos of Supernatural expanded and some stories still delivered even if the scariness and darkness of the early seasons wasn’t as present. Part of that mythos included the demon Crowley (Mark Sheppard), who became a series regular and a foil for the Winchesters and Castiel. Conniving, sardonic and quick with comical putdowns, Crowley became a sort of anti-hero, if not a particularly threatening villain. Often, he provided a humorous presence during scenes where he interacted with the Winchesters or as he calls them “Moose” (referring to Sam’s height) and “Not-Moose” (the smaller, but scrappier Dean). 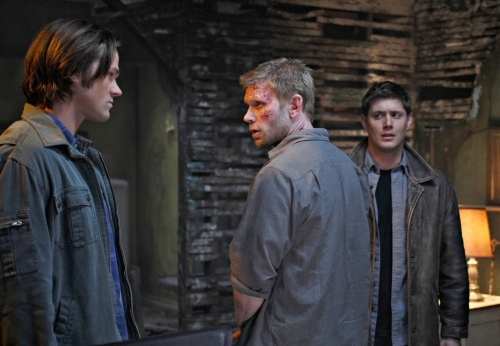 In recent seasons, we and the Winchesters learned they are descended from a secret society called the Men of Letters. After finding the vanquished society’s hidden bunker with its vast library about supernatural beings, the brothers used the place as their base of operations. These newer episodes led to some interesting stories that functioned as backdoor pilots for new characters, but to date, none of them went further. Supernatural had a very strong eleventh season which was about an ancient entity called Amara (Emily Swallow) or the Darkness. She turned out to be God’s sister and wanted to destroy his creations. This in turn led to the introduction of God Himself in the guise of Chuck Shurley (Rob Benedict), who was MIA for years but decided to come to Earth to confront Amara. Many episodes were decidedly unique, take the episode “Baby”, which was told from the POV of Dean Winchester’s beloved Impala. Another one was “All in the Family” where the Winchesters finally meet God/Chuck and Dean has a poignant conversation with Him and asks why is so much misery allowed on Earth. The answer was simple and thought provoking. The episodes and characters in the eleventh season proved that Supernatural still had life and while the Amara storyline may have ended anti-climatically, it was a good change of pace. Now, the 12th season has begun without any indication, so far, that the show will conclude. Unlike past season openers there wasn’t a clear super baddie to give the Winchesters and their circle headaches. Instead, Lucifer, who returned to Earth last season, is on the loose and Crowley is hunting him. Meanwhile, the Winchesters are dealing with more personal threats. The British chapter of the Men of Letters showed up and kidnapped Sam because they are not happy with the American branch of the society. Now Dean and Castiel have to find Sam. Joining them is Mary Winchester (Samantha Smith), the brothers’ long-dead mother, who was resurrected as a thank you to Dean by Amara. This opens up a new dynamic for Sam and Dean Winchester being that she will be around for this season and it’s already paying off. Mary has shown that she still has the tough chops of having being a Hunter, but is finding out that adapting to the modern world to be perplexing. Hopefully this 12th season of Supernatural will continue to delight and thrill viewers as we follow the never-ending saga of Sam and Dean Winchester.